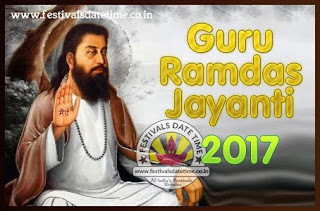 Ravidas was a North Indian mystic poet-sant of the bhakti movement during the 15th to 16th century CE. Venerated as a Guru (teacher) in the region of Punjab, Uttar Pradesh, Rajasthan and Maharashtra, the devotional songs of Ravidas made a lasting impact upon the bhakti movement. He was a poet-saint, social reformer and a spiritual figure. He is considered as the founder of 21st-century Ravidassia religion, by a group who previously were associated with Sikhism. The life details of Ravidas are uncertain and contested. Most scholars believe he was born about 1450 CE, in a family that worked with dead animals and their skin to produce leather products, making them an untouchable Chamar caste. Tradition and medieval era texts state Ravidas was one of the disciples of the Brahmin bhakti sant-poet Ramananda.